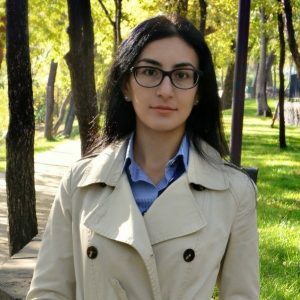 Astghik Gevorgyan is currently working as a multimedia journalist and media trainer in Armenia. She publishes data-driven news for the Ampop Media Initiative. She writes articles on social and economic topics based on different databases, create thematic visualizations and animations, conduct trainings about data sources, working with data and correct use of charts. Astghik Gevorgyan graduated from Yerevan State University in the Faculty of International Relations. Moreover, she participated in many workshops to specialize in different genres of journalism, including “Advanced Training for Print and Online” organized by Open Media Hub, “Investigative journalism” organized by Stockholm School of Economics and OCCRP, trainings on fact checking, explanatory and data journalism.